In recent years, diamond grading standards, even at the world's most renowned labs, have loosened. This is not the case at C.W. Smith Jewelers. We adhere to the old-school strictness of grading. 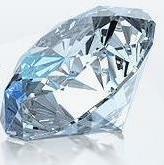 If a diamond is between 2 grades, we grade it at the lower grade ... we are never lenient to the diamond. A one-grade change in color or clarity can result in a 25% difference in price, so grading strictness is extremely important. We have a reputation in the diamond industry, and more importantly with our customers, for being extremely picky graders. We reject hundreds of diamonds that have inaccurate lab certificates and are vastly overgraded. Click here to see just 2 examples. Even harder to grade, but most important of all, is a diamond's cut. Diamonds that are improperly cut have little or no sparkle, and sell for 40% to 70% less than a well-cut diamond. We are rigid in the cuts we select ... only the finest make it into our store. You can never determine the beauty of a diamond’s cut without viewing it yourself, and our strict, hands-on cut grading screens out the poorly cut diamonds. When you view a selection of diamonds at C.W. Smith Jewelers, you know you're viewing only accurately graded, conservatively graded diamonds of the finest cuts. This allows you to confidently evaluate and compare our diamonds and select the one that is right for you. Diamond prices are dramatically dependant on color, clarity and cut. Our strict, old-school grading protects you against over-paying for an over-graded or off-cut diamond.